Grate design dissipates computer-generated heat. 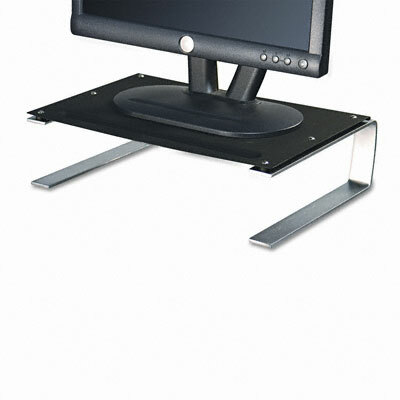 Raises monitor to ergonomic height to aid in reducing neck strain. Grip surface provides storage for monitor, laptop or office essentials. Stores keyboard underneath when not in use to free up prized space on your desk. Unique grate design aids in dissipating computer-generated heat, making your computer less likely to overheat.